Fujifilm Corporation, a forefunner in nanotechonology is redefining anti-aging skincare with its newly updated ASTALIFT Moisture Lotion. 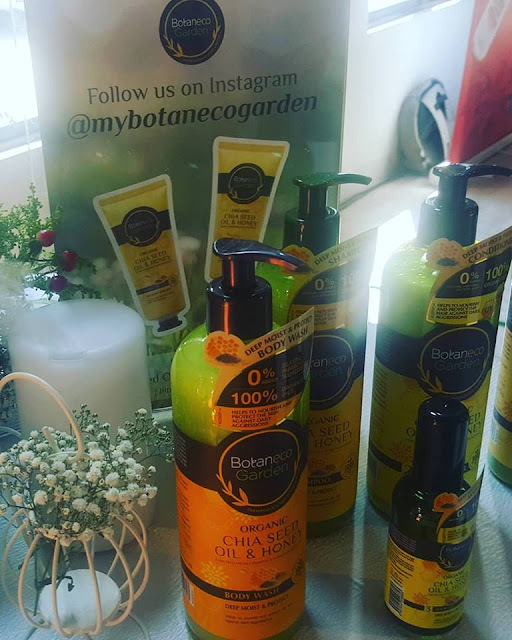 The high-function lotion contains a new composite ingredient, CL Refresher, which is designed to make your skin elasticity firm and refreshingly supple. 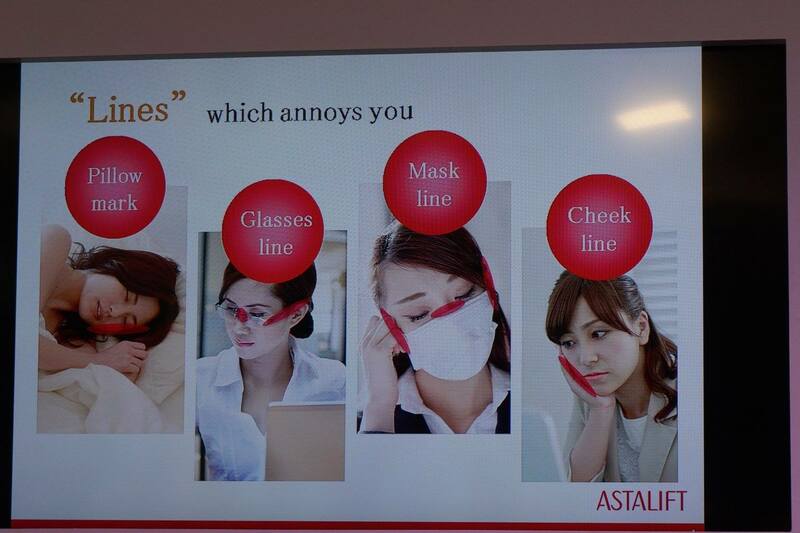 I am in my mid 30s, I know its important to take care of skin care. Thank you Fujifilm for inviting me to the event. 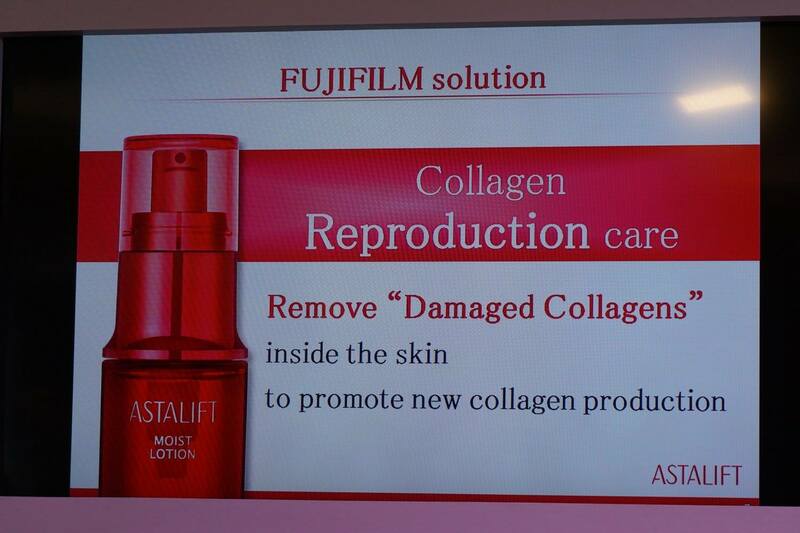 "The new and improved ASTALIFT Moist Lotion features a revolutionary discovery of a proprietary ingredient that can inhibit the degradation of collagen," sad Mr. Satoru Nishiruma, Regional Marketing Manager, Fujifilm Tokyo. 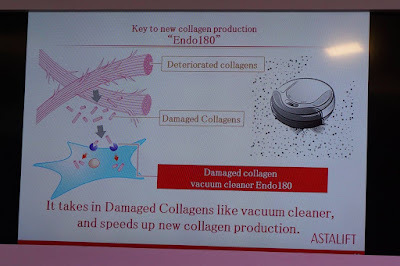 "In order to keep the skin firm and elastic, it is necessary to break down fragmented collagen fibrils and generate new ones, explained Ms. Yumiko Komiyama, Manager of Training and Marketing Support, Fujifilm Tokyo. "Lines" which annoys you perhaps the pillow marks, glasses line, mask line, cheek line. An average age to recognize pillow mark is at 37.9 years old. 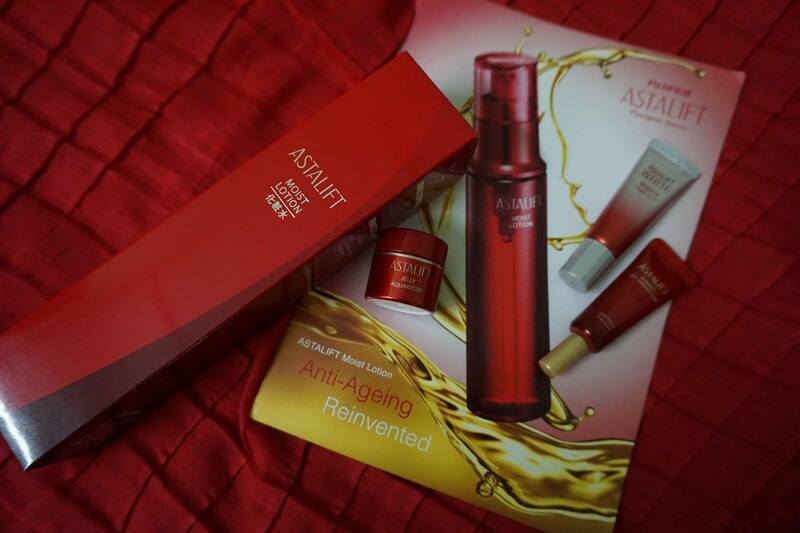 Check out the photos below which I have taken on the date launched last week. 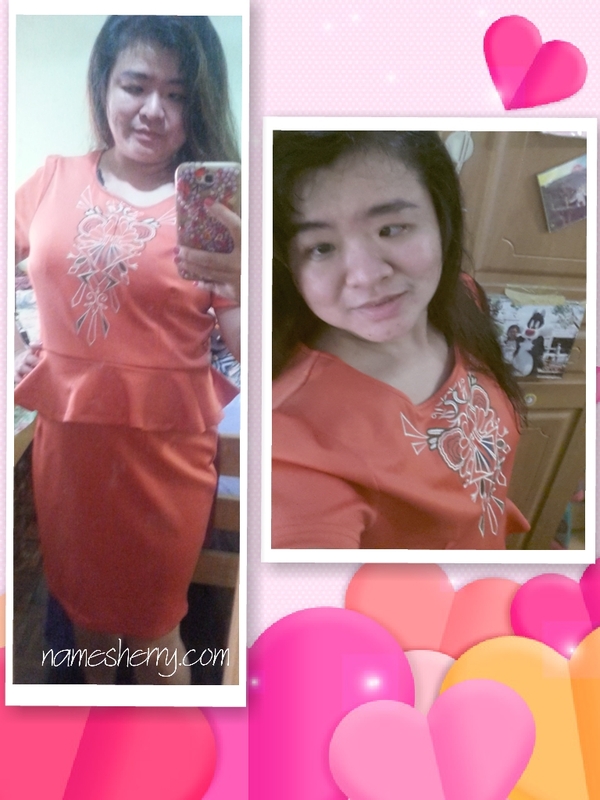 I have also upload to my facebook album,click on the link to view it. 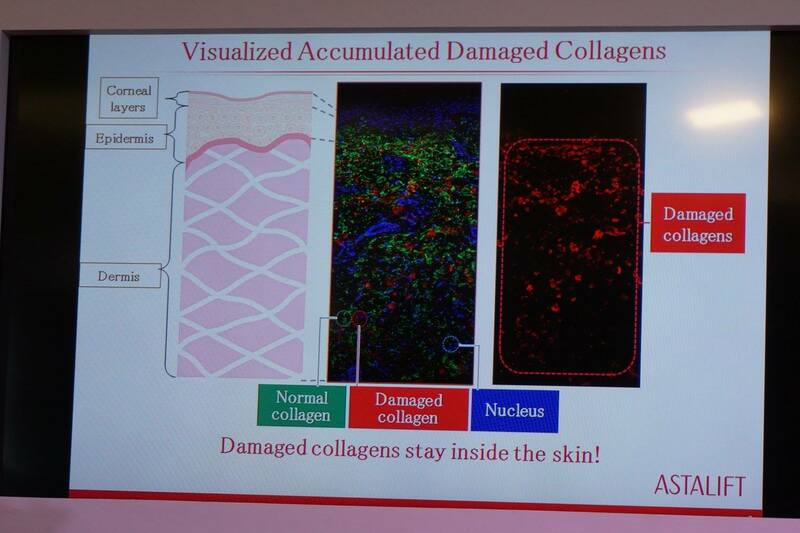 Based on its findings, Fujifilm successfully developed Nano Vitamin Ax, a proprietary ingredient that promotes the skin's collagen metabolism. 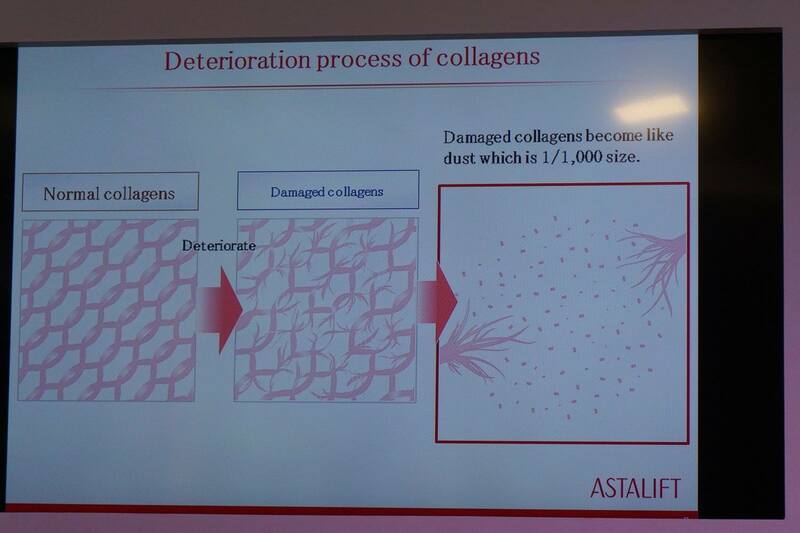 Nano Vitamin Ax combines Vitamin A with the antioxidant astaxantin to produce nanoparticles of the world's smallest level of 50 nanometers, dispersed in solution to form a nano-emulsion. Further efforts by Fujifilm to promote collagen regeneration led to the discovery that adding collagen peptide to Nano Vitamix Ax would increase its efficiancy. The new ASTALIFT Moist Lotion contains the composite ingredient, CL Refresher which combines Fujifilm's proprietary ingredient, Nano Vitamin Ax with collagen peptides to clear the skin of damaged collagen to firm and moisture the skin. 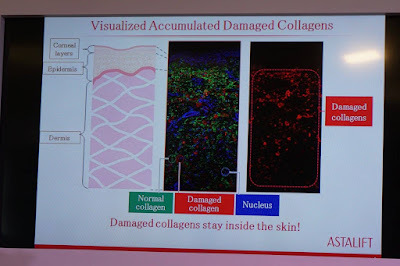 By using multiple moisturizing ingredients in an optimum balance, Fujifilm was able to create a unique "Most Up Texture" that allow you to feel the beauty ingredients penetrating through all corners of the skin while hydrating the skin. The new ASTALIFT Moist Lotion uses the "Smart Refill" refillable cartridge system, designed to keep the pump tube unexposed during the refill process to ensure hygiene and prevent spillage. The refillable container reduces the use of plastic from previous models by approximately 60& and comes with a carbon offset credit to further reinforce Fujifilm's environmental initiatives. 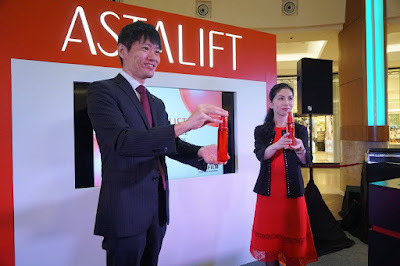 According to Satoru Nishimura, the new ASTALIFT Moist Lotion is the first product to take advantage of the Smart Refill system which will be implemented by other ASTALIFT products in future to enhance the company's efforts to counter global warming. Photo above consists of products Jelly Aquarysta, Moist Lotion, White Essence Inlift, and Perfector Protector SPF50. 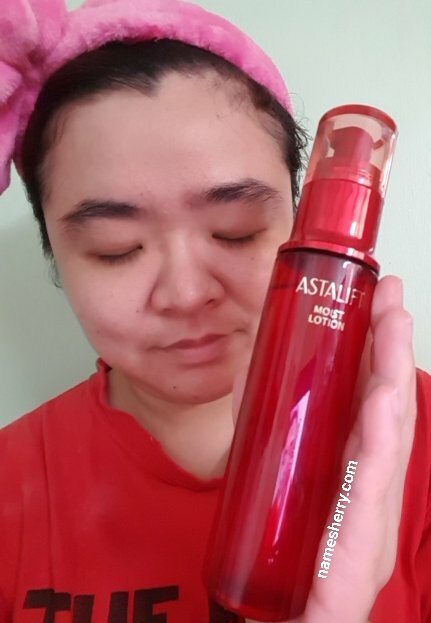 After a week of using the ASTALIFT products as mention above, I find them suitable for my combination skin. 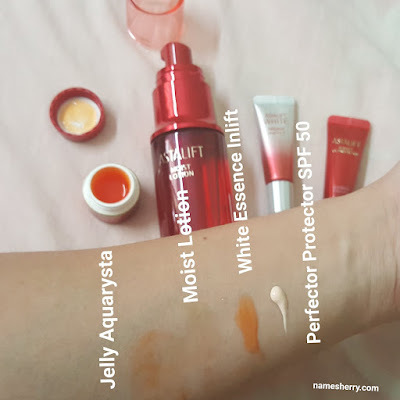 Just pump once on palm to use on face on day and night after using the cleanser then the toner, then Jelly Aquarysta, then the Moist Lotion, White Essence Inlift, then Perfector Protector SPF50. ASTALIFT Moist Lotion is suitable for my combination skin, there's no irritation on my skin. 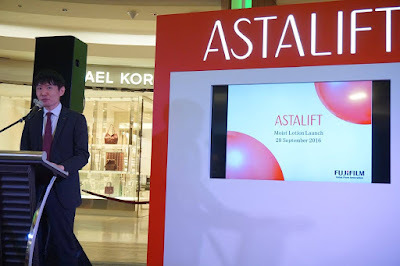 ASTALIFT Moist Lotion, pump once for each usage day and night. 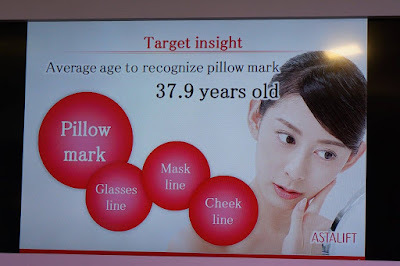 Fujifilm continually taps into cutting edge core technologies developed over the years to provide a distinctive range of products that met the needs of many people, thereby contributing to beauty and human health. 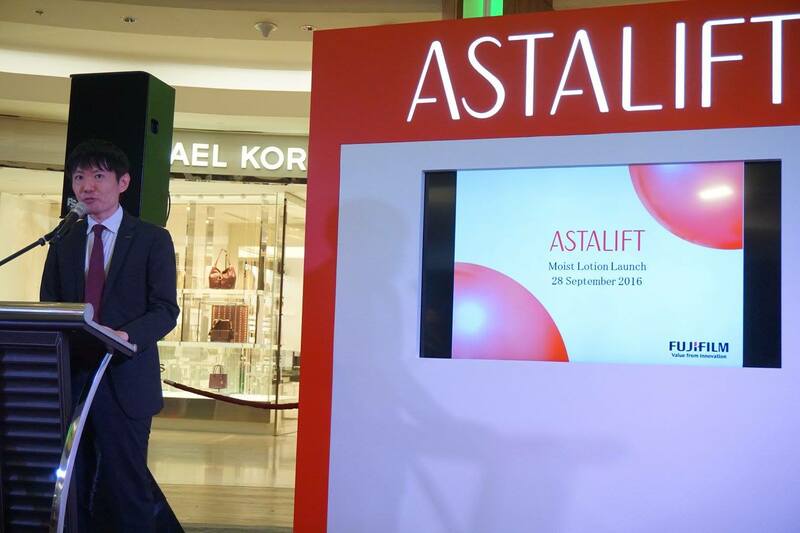 The all new ASTALIFT Moist Lotion is priced at RM148 for 130 ml, inclusive of 6% GST. Yeah the size of it is just like above photo where I'm holding the bottle. Sean Choo, General Manager of Sunway Lagoon, Calvin Ho, Senior General Manager of Sunway Theme Parks and Lynton V. Harris, Chairman and Global Creative Director of The Sudden Impact! 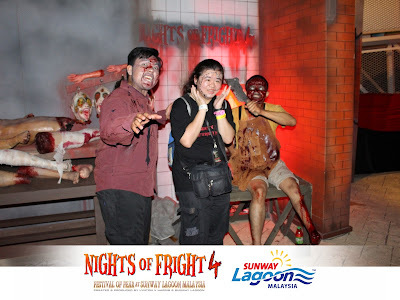 Entertainment Company at the launch of Nights of Fright 4, Malaysia’s biggest and scariest Festival of Fear! Everyone is scare of something! What are you scare of? Yesterday night I attended the media launch of Nights of Fright 4 at Sunway Lagoon Malaysia. As light gave way to darkness, what are you gonna do? 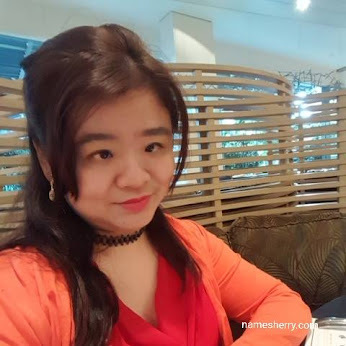 Why not go to Sunway Lagoon as they have opened its gates to those who dared walk in its grounds into the uncertainty of the night. I attended the Nights of Fright 2, two years ago you can click on the link to view it. (First to third from left): Sean Choo, General Manager of Sunway Lagoon, Calvin Ho, Senior General Manager of Sunway Theme Parks and Lynton V. Harris, Chairman and Global Creative Director of The Sudden Impact! Entertainment Company at the launch of Nights of Fright 4, Malaysia’s biggest and scariest Festival of Fear! From the 7th til the 31st of October, Nights of Fright 4 (NOF4) will bring visitors face to face with their fears as local urban legends, Hollywood icons, and a modern dystopian story are brought to life! This year, Asia's Best Attraction boats, "FRIGHTS, FEAR, and FUN" through only the best horror themes surrounding Asia, Modern Dystopian, and Hollywood among others as its manifests itself to present a ghastly den of eight haunted houses, six scare zones, and 11 after-dark amusement rides. Asian legends take center stage with a series of local and regional based myths that survived through silent whispers at midnight from one generation to another. Screams start with CHAONEI NO. #81 in UV3D: Beijing’s most famous haunted house as a tragic concoction of love forlorn and guilt possesses a promising Opera singer during her torrid affair with the husband of the house. The Asian themes continue with DIYU – JOURNEY OF JUDGEMENT. Take a walk and delve into the unknown realm where your journey to the next life is determined by walking through your fate on the bridge. Then, there is the ever familiar yet sinister MALAYA HIGH SCHOOL where a crime so horrific has taken place in the classroom upstairs. Explore and discover the debauchery that has since deemed tightly closed, until now! 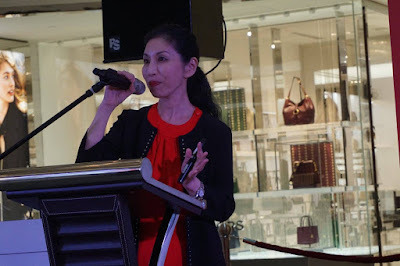 You can view some photos of the media night launched at my album, click on the link to view it. 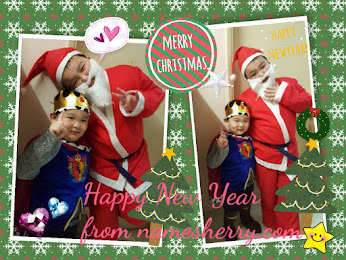 You can also view photo from Facebook, click on the link to view it. Some photos taken in the night as I have great fun no snap all of the photos as I wanna yourself to experience it. The Nights of Fright 4 launch was joined by the likes of Malaysian rapper, producer and songwriter, Joe Flizzow and photo below is the beatboxer Shawn Lee. In KEVIL HILL, there is a cold evil presented at the highest scare intensity through a chilly underlying aura as this Modern Dystopian world takes shape. Uncover a world which is a mix of cryogenically frozen zombies, brought to chilling half-life following a massive explosion in the mysterious Kevil Hill Cryonic Corporation headquarters. For those horror fan who is into Hollywood legends, the world’s most famous ‘hantu-crew’ help you wind your way through a very spooky New York in THE GHOSTBUSTERS ADVENTURE LIVE! Indulge in your fears even further with encounters at HORRORWOOD STUDIOS. Rounding off the haunted houses is the spooky ANGOSCIA THEATER, a mix of fashion and fear, and of course, our own ZOMBIE APOCALYPSE celebrating everyone’s favourite undead. Navigating your way across Nights of Fright 4, stay on the lookout for an extensive range of characters wandering around the nocturnal playground and scare zones with many great opportunities for awesome photographs. 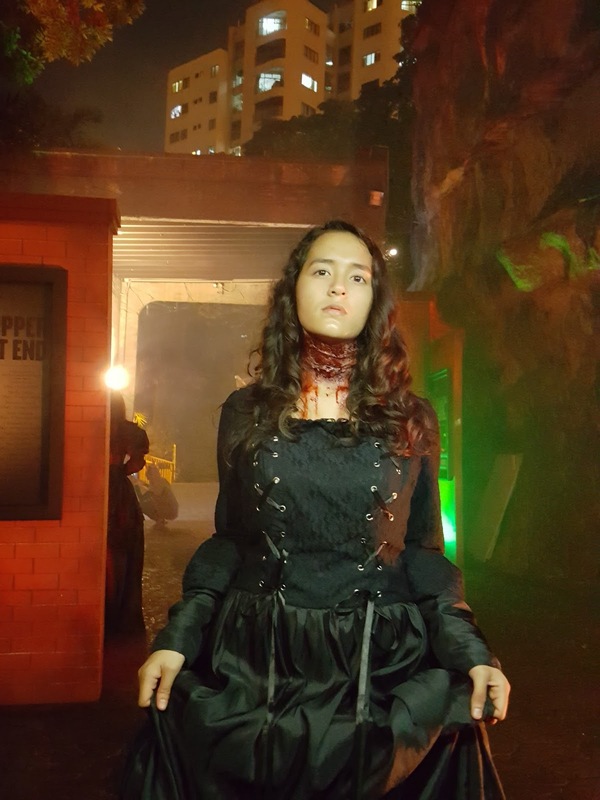 So, be on the lookout for AH WING’S BUTCHER SHOP, a place still dripping with bloody revenge while, TANAH PERKUBURAN BUKIT LANG, is haunted by the screams of tortured souls. Other horrifying zones include THE LONDON FOG, KEVIL HILL TOWNSHIP, THE ZOMBIE WALK, and THE CLOWN COLLECTIVE. 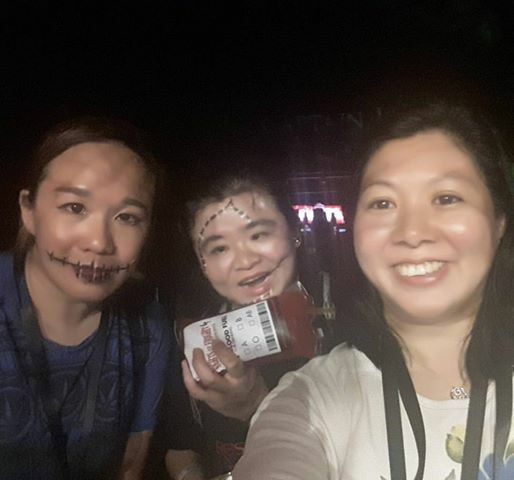 great fun horror scary night we have fun together with blogger Miera and Wee Ling. In my hand is holding a blood bank, hehe don't worry is not real blood is beverage. For doses of fun in between scares and screams, hop on a plethora of fun rides, in a very special “after-dark” setting. Buckle up and take on favourites with a darker twist in CAROUSEL, APACHE POTS, PIRATE’S REVENGE, COLORADO SPLASH, TOMAHAWK, WAGON WHEEL, LOST CITY OF GOLD SCREAM COASTER, FUN FAIR, GRAND CANYON RIVER RAPIDS, BUTCH CASSIDY TRAIL and VULTURES. Nights of Fright 4 comes to life at 7:30pm to 11:30pm every Friday to Sunday from 7th to 30th October including 31st October 2016. Tickets are priced at RM 58 (normal price), RM 50 (student price), with exclusive promotions such as RM 120 (one admission Sunway Lagoon pass & one NOF4 ticket) and Buy 2 for RM 80 (entry dates only on Sundays). 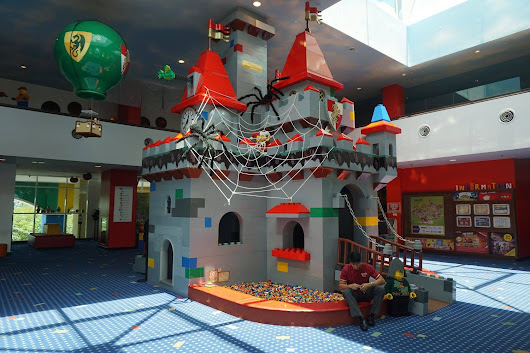 For more information, you can call 603 5639 0000, visit sunwaylagoon.com or connect to www.facebook.com/SunwayLagoonMalaysia. 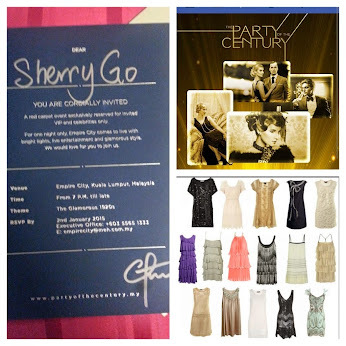 *This event is recommended for guests above 12 years old. Visitors dressed in their coolest and spookiest costumes will be most welcomed, however, no face masks are allowed during event nights.